Contains episdoes 1-13 plus the OVA. Last edited by chrisc31; 07-22-15 at 06:43 PM. This summer, Angel Beats! is making its way to our fans in both subtitled form and with an all new English Dub! Experience the fight of their afterlives as the SSS battles through Purgatory against a cruel oppressor in a place where death is meaningless, and destiny rules over all. Are you ready? We'll be offering up the subtitled version on AN Online, or if thats not your kick, you can check out the new dub featuring Blake Shepard, Brittney Karbowski, Hilary Haag and many more, coming this June ONLY to Anime Network Video on Demand! Keep your ears open because more details are coming soon!!! 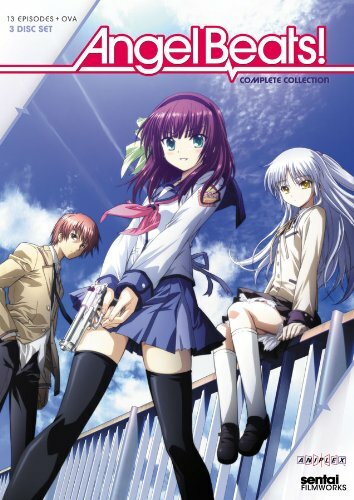 I just finished watching Angel Beats! The last few episodes of Angel Beats I noticed a lot of Dialogue changes from the fansubs, and now Angel Beats does not seem rushed towards the end anymore. 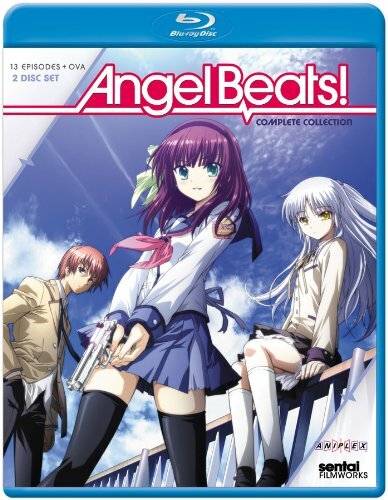 Do the Angel Beats episodes streaming on The Anime Network have the same translations as the home video releases? The subtitles would be the same but the dubs doesn't always match the subtitles. A bit late here, but I discovered this series recently... and it's become one of my favorites (not surprisingly, considering the crew behind it, since Air/Kanon/Clannad might be my personal top 3 anime of all time). Very well done. Watched it on Netflix Instant (and ran through it quicker than I do most series), and will be ordering the Blu Ray. Sweet GREAT EASTERN is coming out with Angel Beats merchandise. Just the things so far listed. Last edited by chrisc31; 12-09-14 at 03:26 AM. Its an anime but not sure if its a remake, second season, or something else. Interesting, I always thought this show was popular enough for a sequel. Wonder if the new OVA will light the way for a sequel. Angel Beats! seems to still build hype.